“A Feast in Time of Plague” is one film from the series of short films produced as a direct reaction to the recent political situation in Russia. 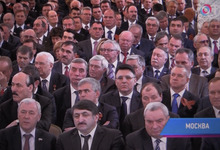 On March 18, 2014 President Putin gave a speech to both chambers of the Federal Assembly of the Russian Federation. 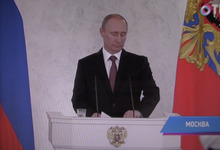 He declared the Crimea as a part of the Russian Federation. He gave the speech. The war continues. The plague have started.